I saw Martha Stewart make this tart on public television and scrambled to write down the recipe. It looked simple enough, and very delicious. You simply assemble the brown butter cookie crust, chill it, blind bake it and let it cool. 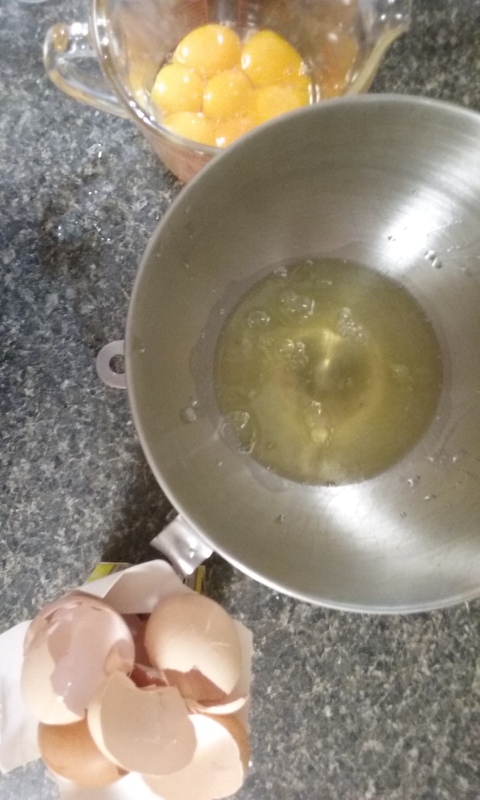 Meanwhile, whip up the lemon curd so that you can strain it directly into the prepared crust. 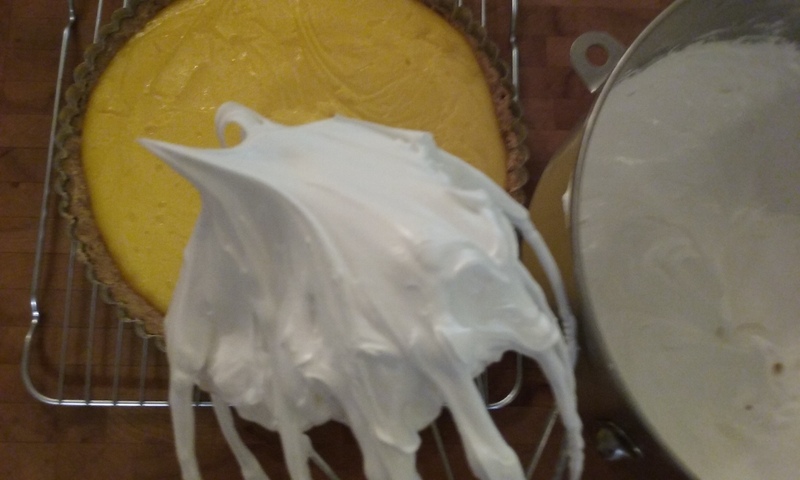 While this chills, you can work on the meringue. 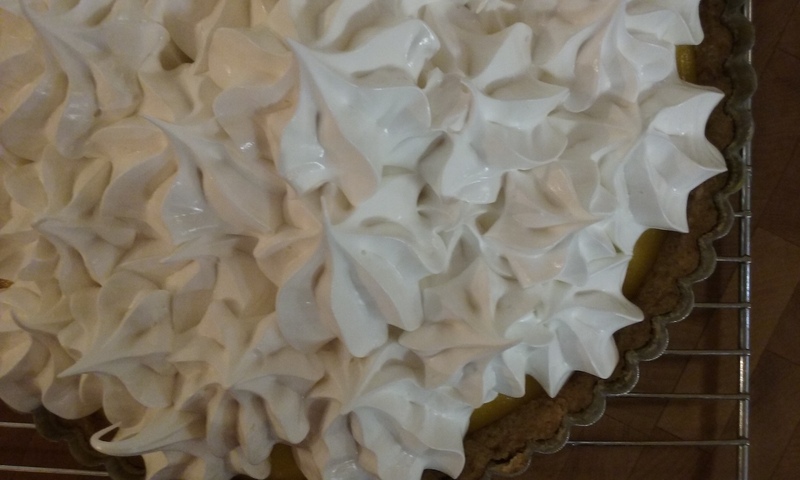 Martha Stewart made this beautiful pie and two others in the span of thirty minutes. I wasn’t even able to finish this project in one day. However, it was WELL worth it. 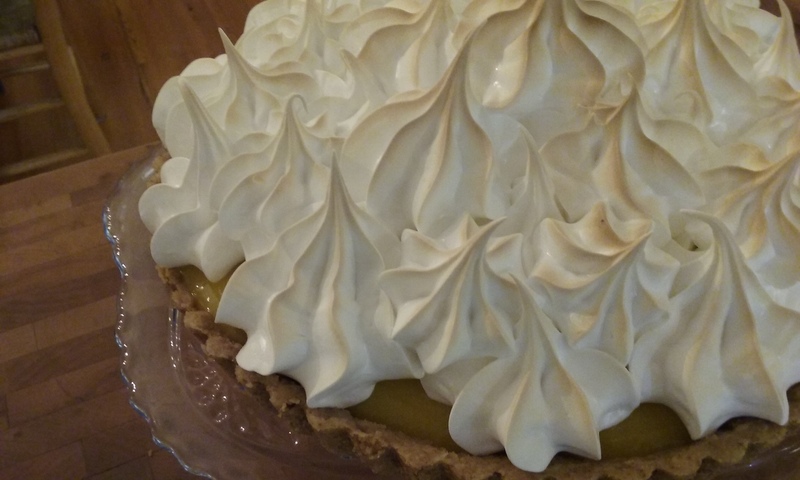 The crust is awesome, the lemon curd is fantastic, and the meringue is superlative. 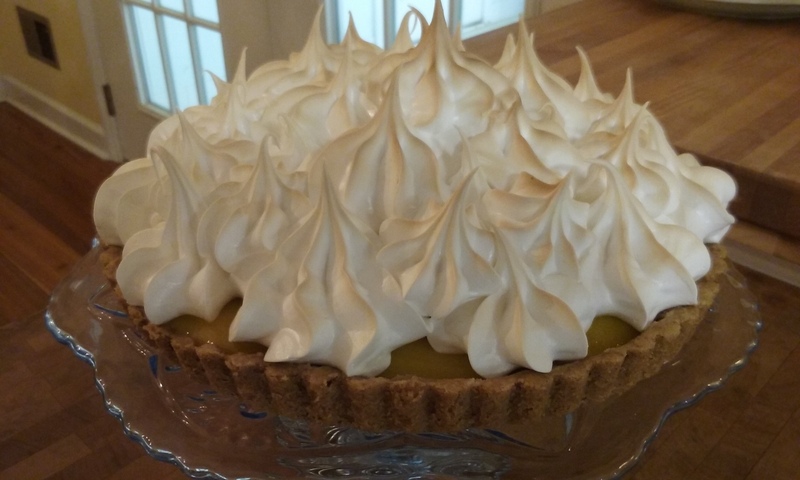 The genius addition of a little unflavored gelatin to the lemon filling makes it hold up well to slicing. Everything about it is just right. I will definitely make this again. If you think it looks good in the pictures, just imagine that it tastes even better. 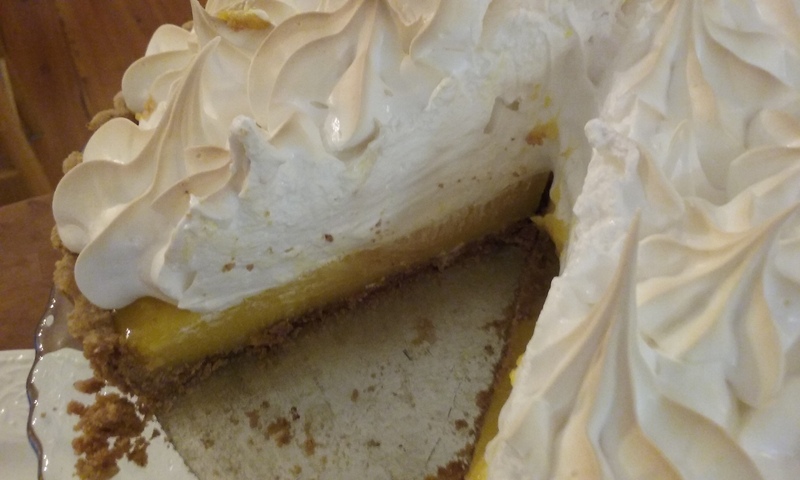 The crust is tender, the filling is tart and smooth, and the meringue is fluffy and marshmallowy. 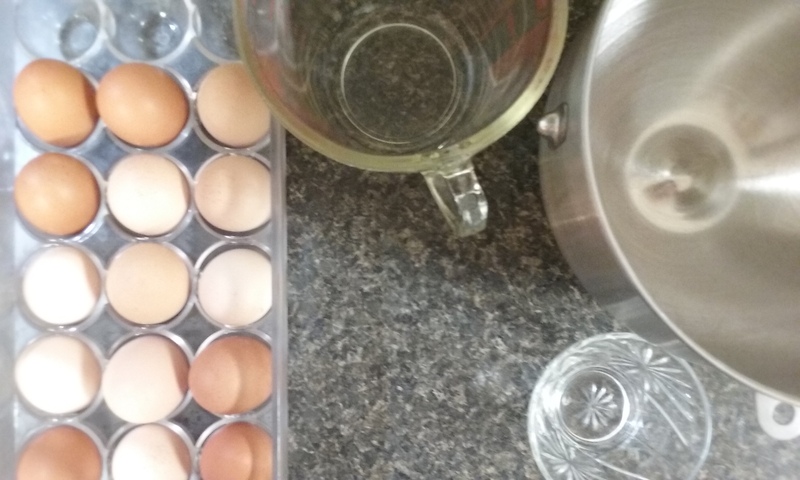 Please click through to her website for Martha’s recipe. You will not be disappointed. I love baking special treats for birthdays and my son always asks for chocolate cake. He loves a big layer cake with chocolate frosting and has had the same cake for the past three years. This year he agreed to cupcakes for a small change. I used the easiest chocolate cake recipe EVER – which also happens to be vegan. 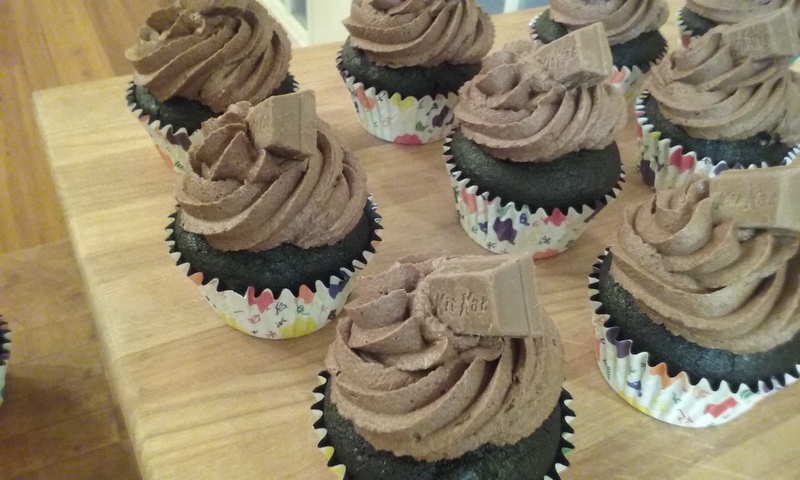 These cupcakes were topped with rich fudge frosting and kit-kats for that extra chocolate touch. Here’s the link to Deadly Good Vegan Chocolate Cake. The recipe for the frosting is completely brilliant and found on the awesome blog Smitten Kitchen. It’s really a basic buttercream, but unsweetened baking chocolate is substituted for some of the butter which makes it super chocolately. 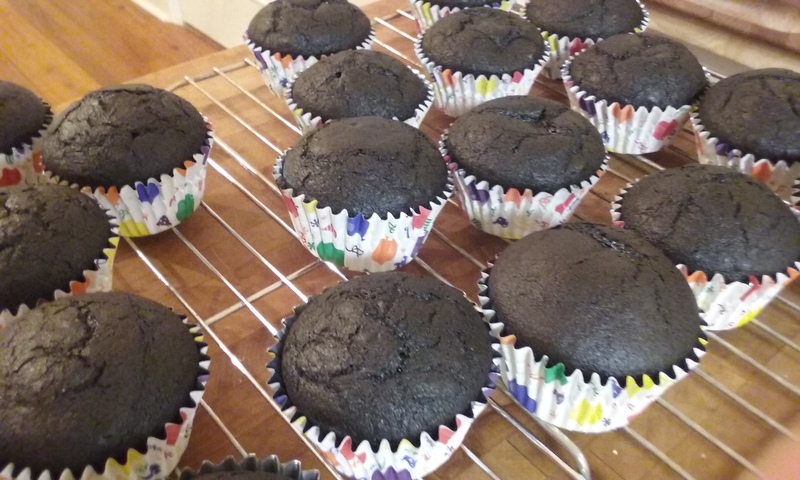 Here’s the link for that recipe – scroll down to the bottom of her post to find the frosting.